The Miller Opera House was built in 1878-79 by R. H. Miller at the corner of Huron and Main Sts. It was a three story brick building with general stores on the first livel. The original cost was $7500. and had seating for 700. 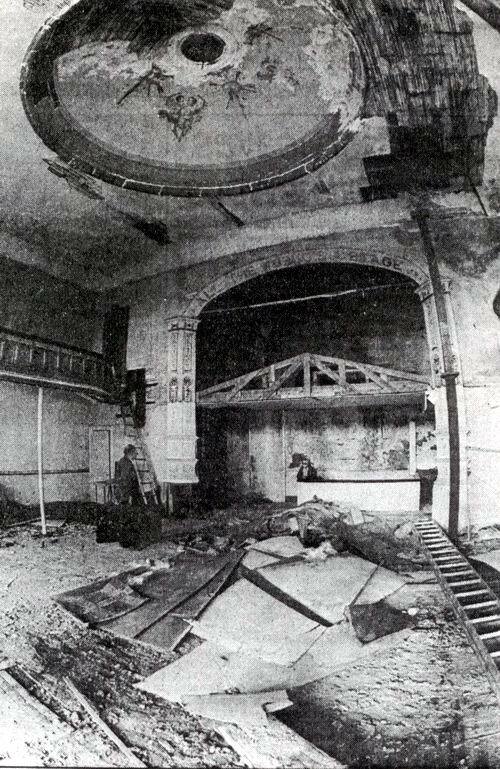 There was a stage, auditorium and a circular balcony with a hand painted dome. It was lit by gas jets along the wall. 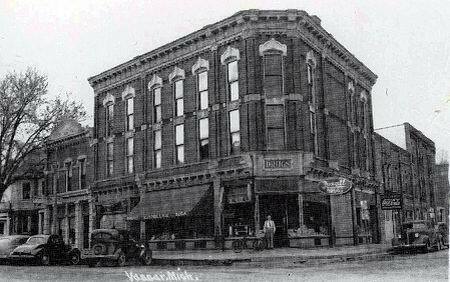 In 1931 it was remodeled to be a wallpaper showroom and warehouse for the Millers Drug Store below. The whole building was demolished in Oct. 1987 to build a bank and mall.